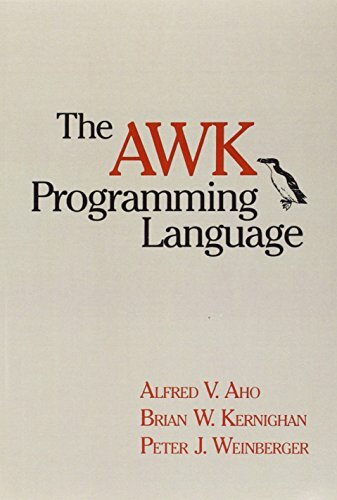 Originally developed by Alfred Aho, Brian Kernighan, and Peter Weinberger in 1977, AWK is a pattern-matching language for writing short programs to perform common data-manipulation tasks. In 1985, a new version of the language was developed, incorporating additional features such as multiple input files, dynamic regular expressions, and user-defined funcitons. This new version is available for both UNIX and MS-DOS.